The VZ-M5 HDMI monitor provides sharp, accurate images for improved framing and focus assist on any camera equipped with an HDMI output. Utilizing top-quality Grade A+ LCD panels and image processing, the M5 offers picture quality and a feature set normally found only on more expensive monitors. Included with the basic M5 kit: monitor, 2 HDMI cables (standard-standard & standard-mini), and AC power adapter. A number of optional accessories designed specifically for the M5 are available through VariZoom. 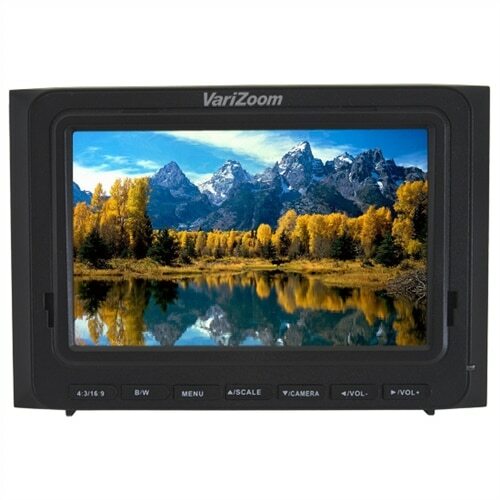 VariZoom 5″ HDMI LCD Monitor. Warning: Read instruction manual for important usage information.